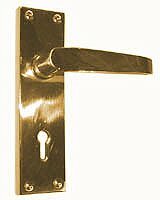 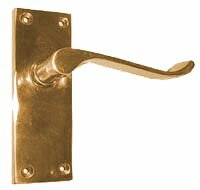 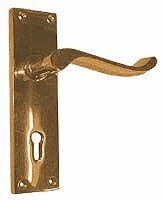 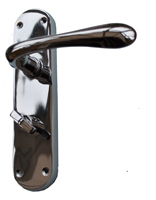 The back plates are made from satin anodised pressed aluminium with a comfortable well sprung lever handle to give years of daily use. 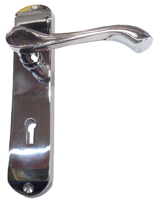 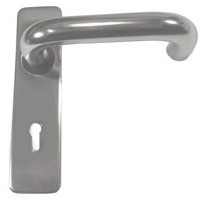 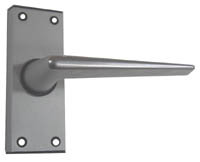 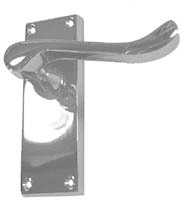 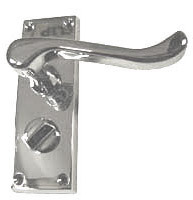 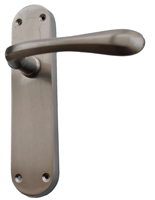 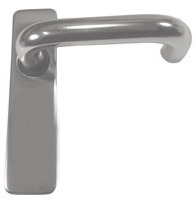 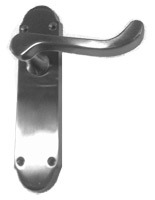 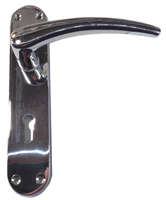 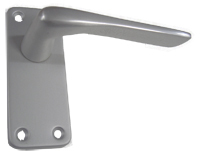 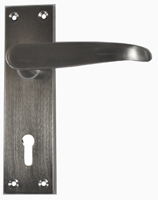 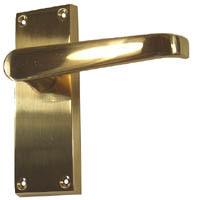 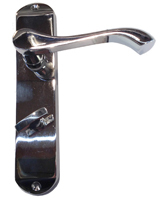 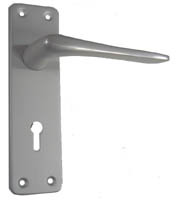 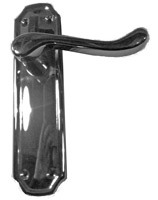 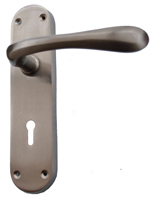 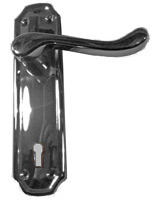 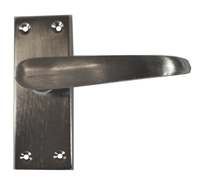 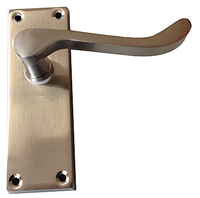 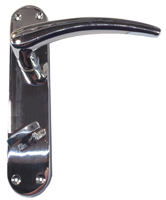 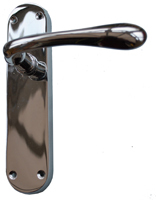 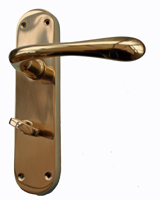 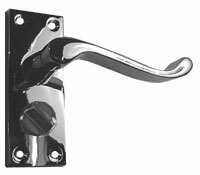 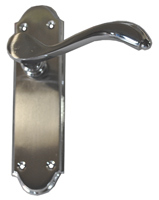 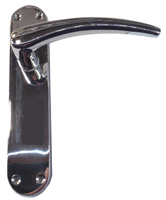 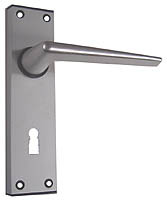 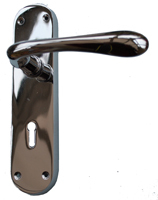 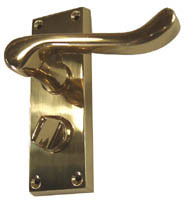 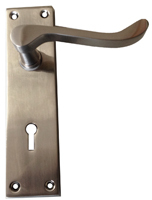 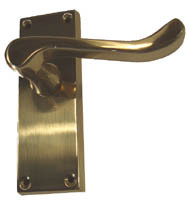 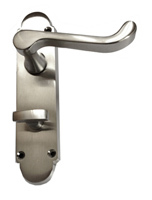 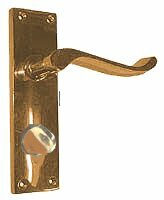 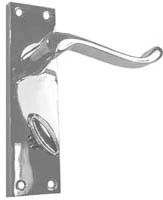 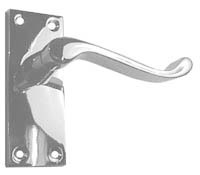 This suite of lever handles are our most popular in aluminium and are made ito a high standard. 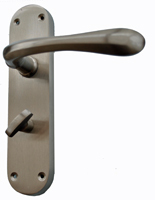 With an extruded backplate, comfortable lever handle and strong springing this handle set offers incredible value for money. Beautiful Georgian shaped lever lock set with unusual shouldered backplate. 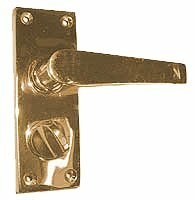 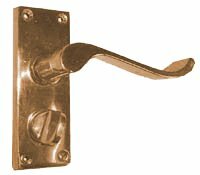 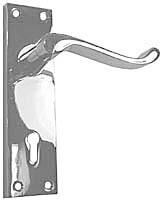 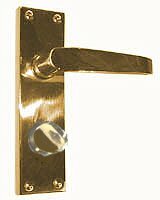 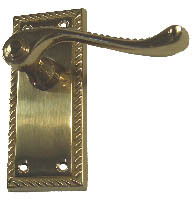 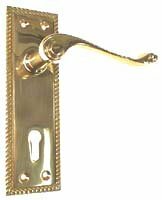 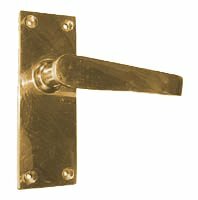 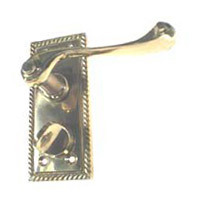 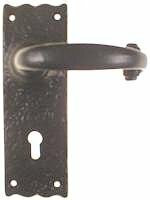 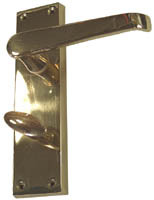 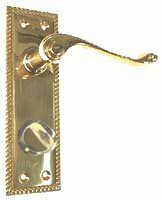 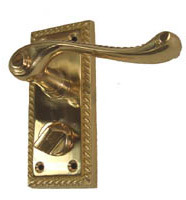 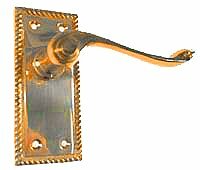 As this item is longer than the standard Georgian lever latch set it can be used to cover unsightly screw hole marks in older doors.